2019 YOUR FITTEST YEAR EVER!?! BOOK YOUR COMMITMENT NOW AND LET ME GUIDE YOU TO YOUR PEAK PHYSICAL BEING THIS YEAR! 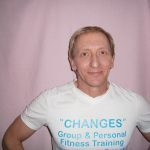 Hi my name is Mike and welcome to ‘Changes’ Personal Training based in Bournemouth, Poole and Salisbury. I have worked in the fitness industry since the year 2000 as a Personal Trainer, Running Coach, Exercise Class Instructor and Lifestyle Consultant. I am a fully qualified and insured fitness professional with experience of dealing with a wide and varied group of clientele. I am a MOBILE PT / RUNNING COACH and operate at clients homes, workplaces and in the great outdoors – if gyms are not for you then rest assured I will not lead you into one. All that you require to improve your health and fitness is around you – both in the home and at the local park or sports field. As for equipment don’t worry I will bring it all with me. FREE CONSULTATIONS available to get you started, no excuses! Not only do I offer 1-2-1 sessions but if you have some like-minded friends then maybe my small group training might be for you. I also run both outdoor circuit training sessions throughout the year incorporating body weight training and also boot camp blitzes from time to time. So if you are serious about changing your life then don’t delay, act now! Take Control of Your Life! Live, Don’t Just Exist!! If I can be of any help to you then don’t delay make the next step on your journey and either give me a call or send an email, look forward to hearing from you. Bournemouth, Poole, Boscombe, Salisbury, Christchurch, Ferndown, Wimborne, Ringwood, Blandford and Wilton.